Soul Dictionary is a free online Soulful directory of spiritual, new-age, and holistic terms. 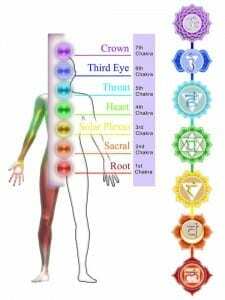 It is the intention to provide short concise definitions to both common and not so common, metaphysical, spiritual, holistic healing and new-age terms. Abraham The Patriarch: (4000 Years Ago) Abraham was the first man to realize that there is only one God, and that the entire universe is interconnected as one unified whole on a deeper level of reality. The great patriarch was the first man to transcribe The Book of Formation, and it holds the secrets of our universe. Remarkably, the entire compilation is only a few pages long, a mere few hundred words. Affirmation is a statement, declaration or pronouncement. In the context of Soulful beliefs, people repeat affirmations to themselves, sing in the form of Kirtan, (or write them for themselves) in order to reprogram negative thought patterns. Alchemy (Spiritual) is the Art of Transmutation of Energies and Transmutation of Self. Alchemy works with different layers of elements and energies: Mental (Air), Physical (Earth), Emotional (Water) and Spiritual (Fire) which are part of the elements in your energy field. Alchemy (Spiritually) is about mastery over self and mastery over energies. 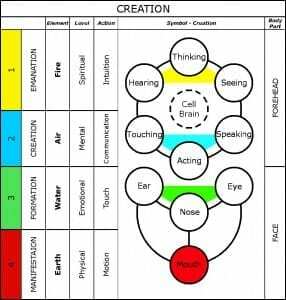 • 4 levels of Creation – Mental, Physical, Spiritual & Emotional. Authentic Higher Self is a term associated with a multidimensional premise that describes an eternal, omnipotent, conscious, and intelligent being, who is one’s real true self. This Authentic Higher Self is the master teacher within. Let me explain it this way….When you’re asked, “Who are you?” is the best answer you can come up with something along the lines of: “I’m a mom” or “I’m a doctor”? Often the answer is not who you are, but what you do, what your social station is, or how you see your function in life. Maybe you can’t answer who you are because you don’t even know. There is another level of identity what is the real…true…. Genuine… substance of who you are — your authentic self. That is who you are at your absolute core. It is the part of you not defined by your job, function or role. It is the composite of all your skills, talents and wisdom. It is all of the things that are uniquely yours and need expression, rather than what you believe you are supposed to be and do. Aura – An invisible – supposed emanation or quality that seems to surround and be generated by a person, place, or thing. Consciousness– the fact of awareness by the mind of itself and the world. Deja Vu “Already seen” The feeling of a present situation or event in time being extraordinarily familiar, as if having experienced it prior to that moment. Some theories about what deja vu is include: memory recall of dreams or a past-life. Discordant Energy is any energy that is not completely positive in nature. It is not what happens to the Soul at any given point in our existence that causes something to come back and create problems, it is the attached discordant energy that is, and carries over from lifetime to lifetime. 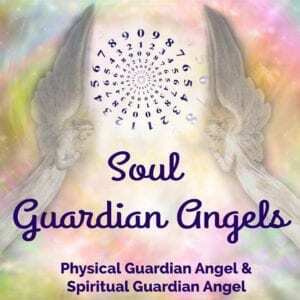 Divine Angels: (Aka: Guardian Angels) The Ancient Charts from Abraham says that there are Divine Angels with us from birth, in correlation with specific astrology elements such as zodiac degrees, signs, planets or units of time from the ancient Hebrew Calendar. These Divine Angels (1 Physical Guardian Angel & 1 Spiritual Guardian Angel) and there energies, emerging from the Divine, can help us greatly to overcome our limitations and extend the reach of our free will with the desire to Co-Create with The Divine. Electromagnetic System – is an entire range of wavelengths or frequencies… think of Aura. Energy – The strength and vitality required for sustaining your physical, mental, emotional & spiritual activity. 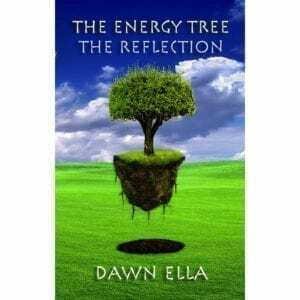 Energy System – A measure of the ability within the body or aura to do work or produce a change. Enlightenment is about harmonizing your mental, physical, emotional and spiritual selves in perfect alignment. Beyond enlightenment, you can still keep transformation growing energetically in the higher planes. You can access the entire Universe from within you. Fear Based Consciousness is a state of consciousness based on negative emotions. Fear is an emotion induced by a threat perceived, which causes a change in brain and organ function and ultimately a change in behavior, such as running away, hiding or freezing from traumatic events. Fear may occur in response to a specific stimulus happening in the present, or to a future situation, which is perceived as risk to health or life, status, power, security, or, in the case of humans, wealth or anything held valuable. This negative state of consciousness becomes the reality if it is acted upon as a response, arising from the perception of danger leading to confrontation with or escape from/avoiding the threat (also known as the fight-or-flight response). Fulfillment is an experience of the Light. This form of Light provides us with an infinite sense of peace, satisfaction, enjoyment, faith, pleasure, love and joy. All these are an expression of the character of the Light. Health is a result of positive flow of Light in our body and a sense of good luck is the result of the flow of Light in our daily actions. Human self-reflection is the capacity of humans to exercise introspection and the willingness to learn more about their fundamental nature, purpose and essence. Human self contains ego & body. Indigo Children have a lot of indigo blue in their auras. The term “Indigo,”was given because it most accurately describe their aura color and energy pattern. This is the color of the “third eye chakra,” which is an energy center inside the head located between the two eyebrows. This chakra regulates clairvoyance, or the ability to see energy, visions and spirits. Indigo Children can sense dishonesty, like a dog can sense fear. Indigos know when they’re being lied to, patronized, or manipulated. And since their collective purpose is to usher us into a new world of integrity, the Indigos’ inner lie detectors are integral. As mentioned before, this warrior spirit is threatening to some adults. And the Indigos are unable to conform to dysfunctional situations at home, work, or school. They don’t have the ability to dissociate from their feelings and pretend like everything’s okay . . . unless they’re medicated or sedated. Kirtan is a form of song that centers on glorifying Rhe Creator, commonly performed in a “call and response” style of singing. There is Nam-kirtan, which are songs composed of The Creator’s sacred names, and Lila-kirtan, songs that celebrate the esoteric activities of the Divine. There is Sankirtan, when the songs of praise are performed in a group setting, and Nagara-Sankirtan, when the group is taken into the streets. And there are numerous variations on these terms and themes. But kirtan, in any form, is ecstatic. Laws of the Universe – also known as physical law or scientific law “it is a theoretical principle deduced (draw a logical conclusion) from particular facts.” For Example, Gravity is a Law of The Universe. Light is the living power of Creation. Light is an essence of The Creator at the highest form of creative substance. This is the very ground of our being and fills every part of reality, allowing its existence, as symbolized in Genesis 2:7. Light Energy: The Creator is Light and we are created in this life as spiritual bodies / living souls. Our goal is to regain the knowledge that we are indeed Light of the One Light, and magnify it in all that we do, this is Light Energy. Love Based Consciousness is a state of consciousness based from positive emotions. Connection here is where the level of Soul is first beginning to realize that it is spiritual in nature, with an infinite potential to learn and grow into the full image and likeness of The Creator. The Soul realizes that it is a divine idea on the path of gaining knowledge, understanding, and wisdom. Psychological reversal – is when we consciously want one thing and do another. 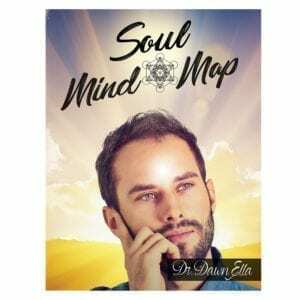 Soul Consciousness – A level of consciousness where the soul is first beginning to realize that it is spiritual in nature, with an infinite potential to learn and grow into the full image and likeness of the creator. The soul realizes that it is a divine idea on the path of gaining knowledge, understanding, and wisdom. Soul Self is the authentic higher self, the “I” that inhabits the body and acts through it. Without the soul, the body is like a light bulb without electricity, a computer without the software. With the enlightenment of the soul, the body acquires life, sight and hearing, thought and speech, intelligence and emotions, will and desire, personality and identity. Spirit – Is the Physical Energetic Expression of The Soul. The Book of Formation: Abraham The Patriarch was the first man to transcribe The Book of Formation, and it holds the secrets of our universe. Remarkably, the entire compilation is only a few pages long, a mere few hundred words. Abraham was the first man to realize that there is only one God, and that the entire universe is interconnected as one unified whole on a deeper level of reality. Tree of Life is the symbol of The Creator’s provision for immortality in the Garden of Eden. The Tree of Life is a Supernal Tree in the Garden of Eden whose fruit imparts Eternal Life. Un-Conditional Love – Sharing and Receiving Light as energy of communication, without conditions. What is Love? Let’s see. When we say we are “in love” with somebody or something your love depends on the object of your affection. It is conditioned by it, therefore this is conditional love. If you love Un-Conditionally, you love everybody and everything equally. You cannot hide your love. You cannot, not communicate it, for Un-Conditional Love is the energy of communication. Just as a shining star cannot hold back its rays, you cannot hold back your Un-Conditional love, when it shines, it shines. What is– Complementary Medicine— is a range of medical therapies that fall beyond the scope of scientific medicine but may be used alongside it in the treatment of disease and ill health. Examples include acupuncture. What is —Alternative Medicine— is any of a range of medical therapies that are not regarded as orthodox by the medical profession, such as herbalism, homeopathy, and acupuncture. What is – Integrative medicine— is healing-oriented medicine that takes account of the whole person (body, mind, and spirit), including all aspects of lifestyle. It emphasizes the therapeutic relationship and makes use of all appropriate therapies, both conventional and alternative.